I’ve been wanting to write this post for a while now and I’m glad I finally get to sit down and share with you a few of my favourite bloggers. I’m all about sharing the love and praising hard works where it’s due and these girls genuinely inspire the blogger in me every single day without t a day. They all show such determination and passion in what they do and they’re all amazing for it! Where do I start with Gemma. 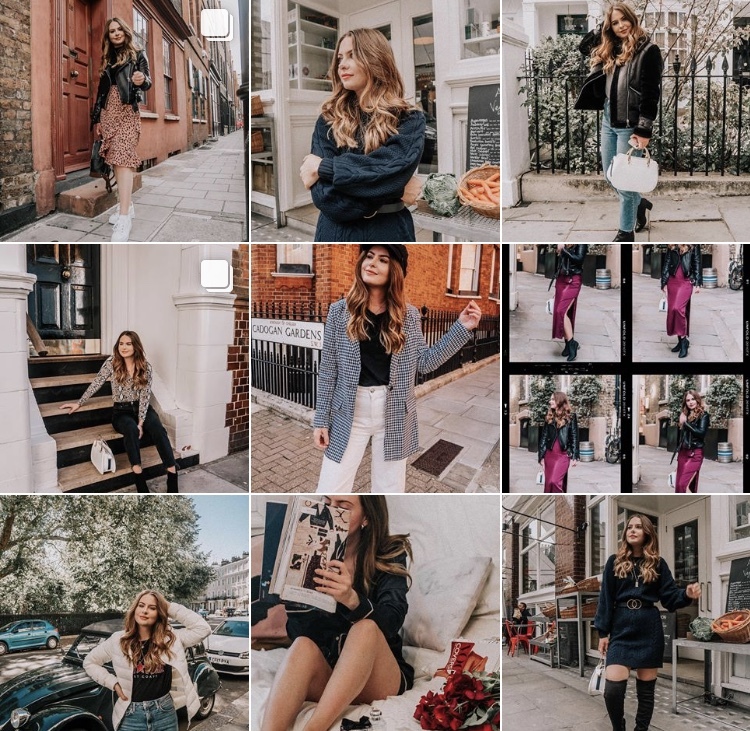 Basically Gemma and Gemma’s blog/content has inspired be since day 1. i think she must have been one of the first accounts I started following when I starting blogging and I instantly fell so in love with her content and photography. Once thing that really stands out as you will be able to see is her skills behind the camera. She has such a good eye and that’s why her feed is so easy on the eye. I love reading her blog, Gemma Louise, her posts are always so well presented and I love her writing style and she always goes above and beyond when writing up a review. You can really tell she spends time writing her posts, and it definitely pays off because they are great! 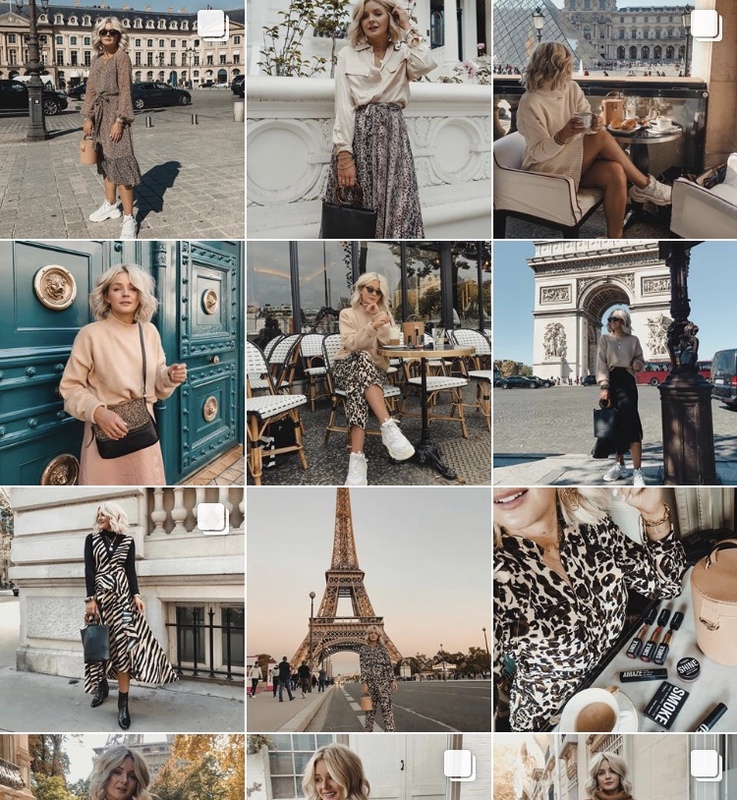 I only discovered Holly and her Instagram this year at some point and fell in love with her photos and fashion! Then…. I discovered she also had a blog so fell in love with that too! Holly is super supportive and always takes the time to comment and support other people, despite smashing it herself! Holly has had some great collabs including New Look and her style is so effortless. Her blog Holly May Murphy is also super sleek and pretty to look at. Her photography is always so crisp and clear and makes me want to buy everything she talks about! Talk about influence eh! the thing I really like about Holly is that she’s so relatable, and everything she talks about, mentions or links is really affordable and more than likely available on the high street! Again, I only discovered Laura this year, so pretty recently and honestly, I can say she is by far one of my fave fashion bloggers. Every single piece she puts together just looks so amazing together and I can safely say she has definitely ‘influenced’ me to buy a few bits as well! I think Laura lives not too far from me as well which is always good to know! One day hopefully I bump into her! Her blog Lauras Little Locket, is also very inspiring. 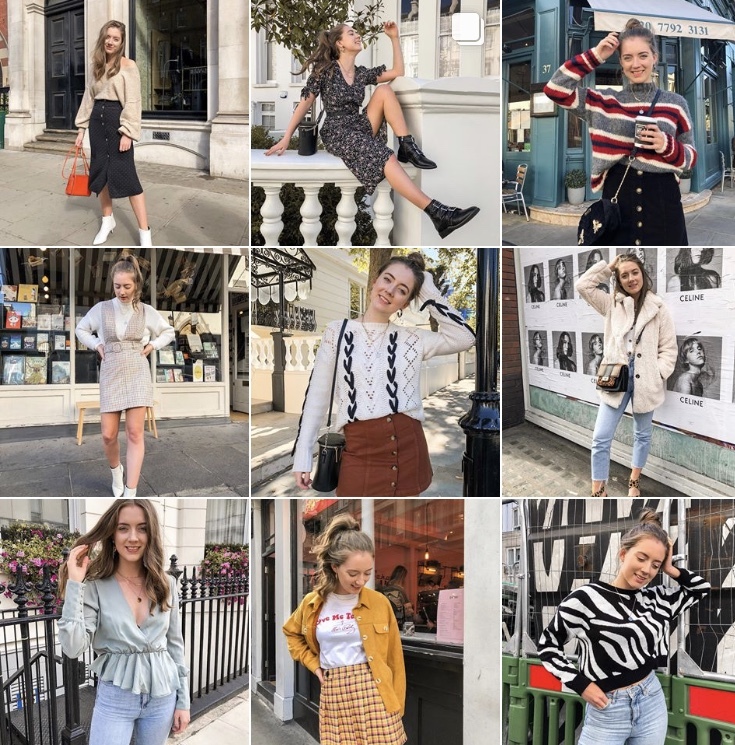 I really enjoy her fashion must have posts where she links a whole load of on trend items for that season and it makes me want to buy everything! Laura’s photography is also everything, the way she edits her photos is so aesthetically pleasing that makes me want to look at them all day! Ah Beth, I think most of you may know beth, or have seen Beth about on Twitter or Insta. I love how real Beth is and I can watch her instastories all day long. Honestly, there’s something so refreshing about how down to earth she seems and how everything she talks about is completely relatable. Her blog Beth Sandland is a dream to look at and read, and I can honestly say I read every single one of her posts. Every post is so well written, structured and executed and her tone of voice makes it feel like she’s chatting to you as she would a friend. In a non-creepy way, I feel like a know her (even though I wish I did!). 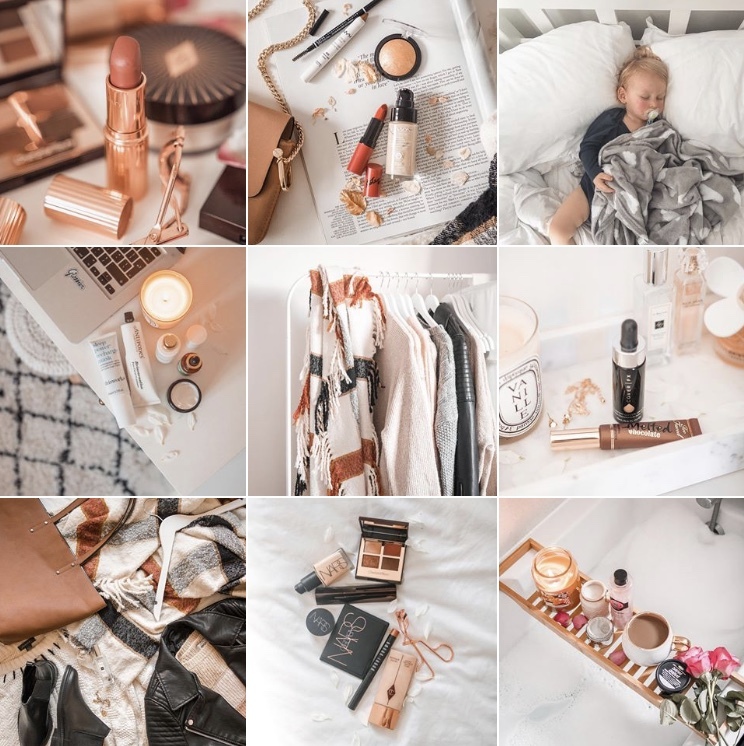 Beth is definitely someone you should go and follow on Instagram, Twitter and follow her blog to keep up to date! Last, but by no means least we have the gorgeous Maria. Maria has been one of those bloggers I have followed since pretty early on. 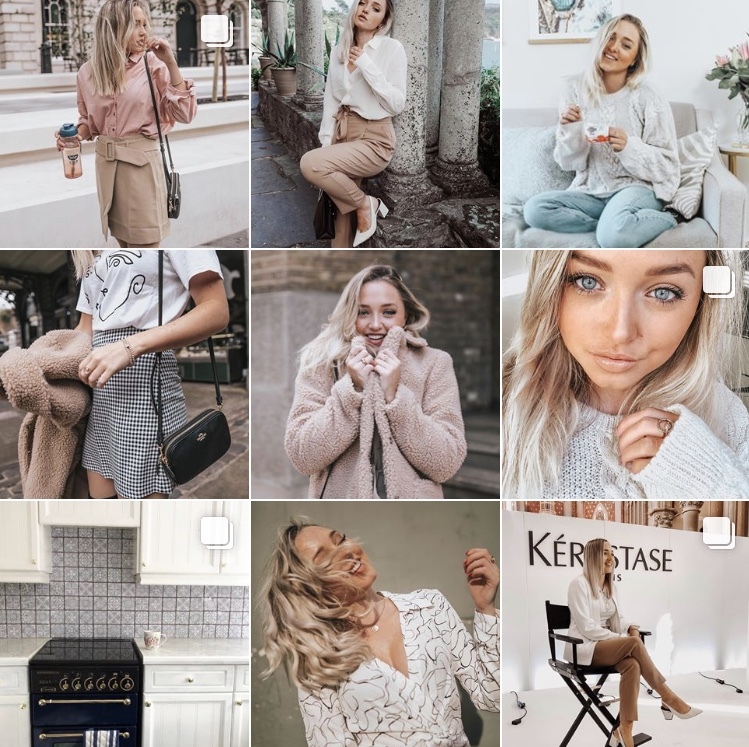 It’s been so inspiring watching and seeing Maria hit some very big milestones, like appearing on BBC breakfast talking, hitting that all inspiring 10k on the old gram, seeing her collaborate with some amazing brands. She’s just an all round girl boss and seems like such a lovely girl too! her blog Mariaj, is just perfection. Her edits are beautiful and I love the variety on content she posts about. Again Maria is another blogger who you should definitely keep your eye on as I have strong beliefs she will continue to succeed and thrive in the Blogosphere world!